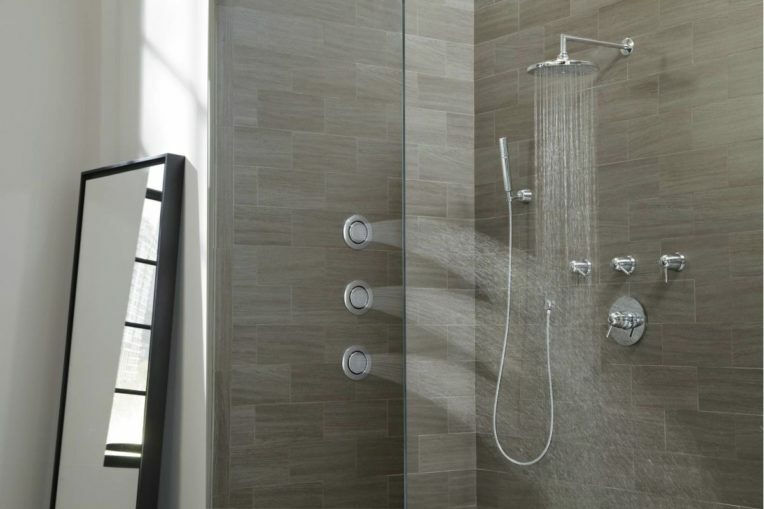 Showers have come a long way in the past few years, abandoning the old style shower head over the bath, or more recently, the hard to clean glass box with a single showerhead. 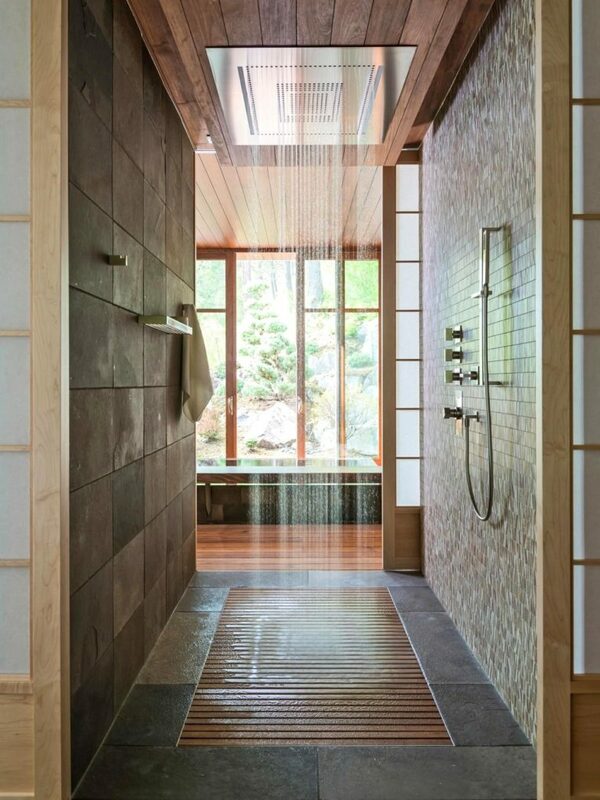 Now, enter the luxurious open shower – accessible for all, visually uncluttered and freeing up space in that small but important room. 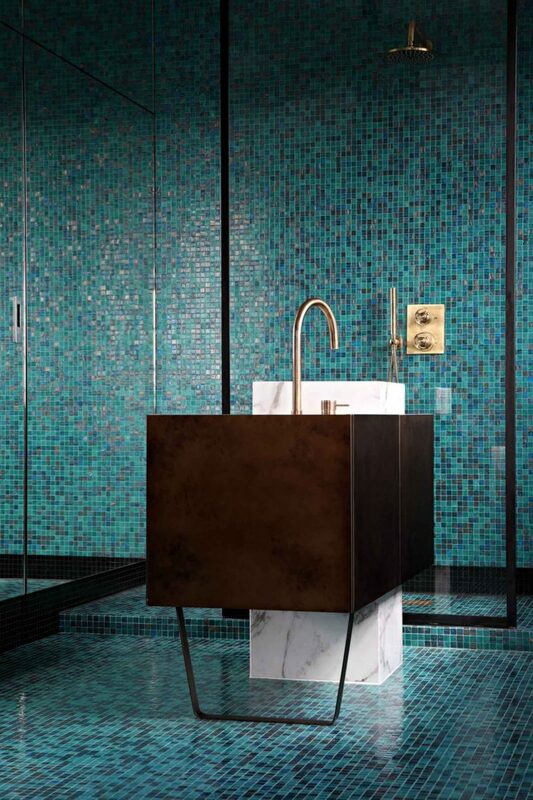 The open shower is a simple concept with many possibilities. It is usually a completely exposed waterproofed wet area with no curtains and doors to bang your elbows on and floor drainage central in the space. Instead of the restricted space of the existing shower box, this no-barrier approach gives a feeling of freedom in the bathroom like no other. 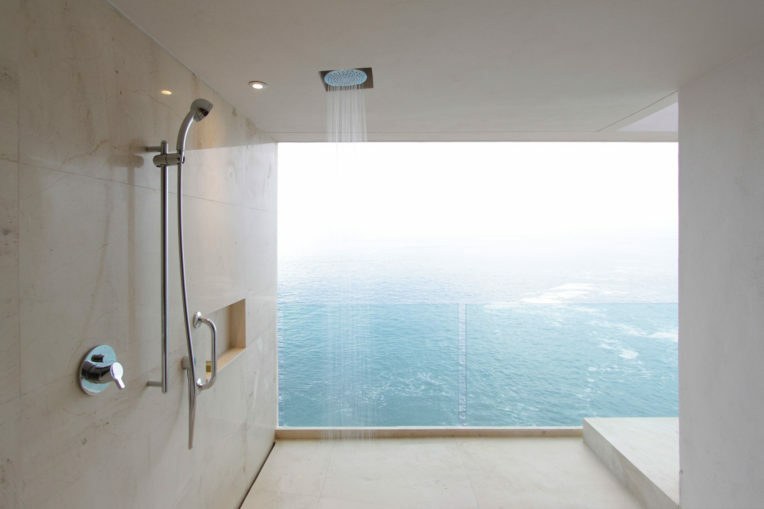 If you have breath-taking views outside your home, why not take the opportunity to see them while in the shower? 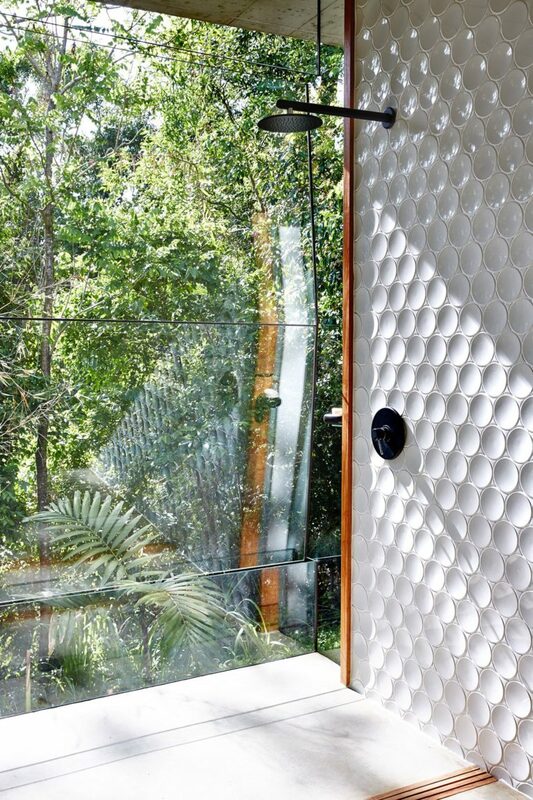 The rainforest, sea or cityscape – visuals of expansive vistas beyond a window you can enjoy while you wash gives the feel of a luxury spa or high-end hotel in your own home. Just ensure the view is a one-way thing so your privacy is maintained. 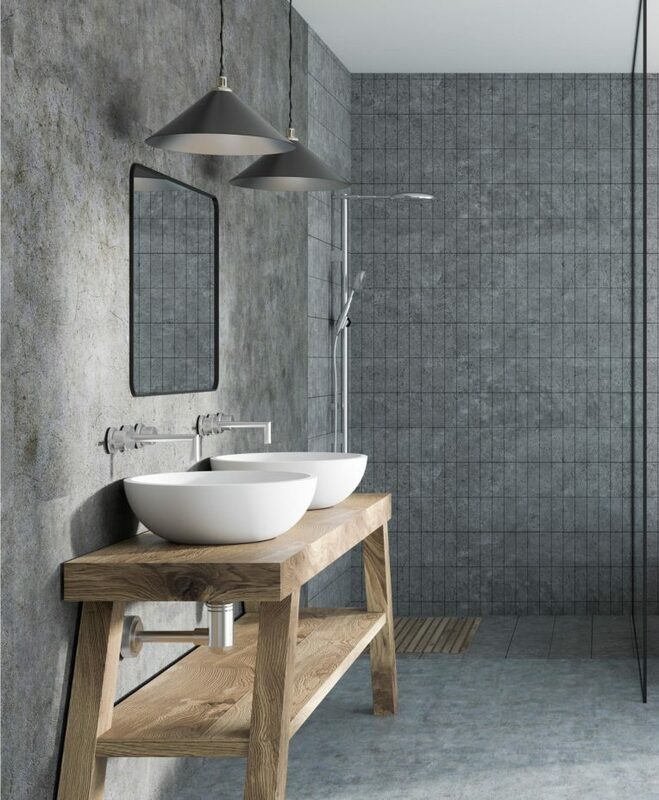 If you need more space in your bathroom or just the illusion of it, removing a shower cubicle, tray, door or curtain makes the most compact of bathrooms appear bigger and brighter. Throw in some floor-length mirrors if you are brave enough! If a full wet-room is a step too far, a frameless glass screen maintains the visuals of a space free of clutter. If you think that shower water can only come from one direction, think again! Shower mixers have never been more creative with gentle rain (or Monsoon torrent) from above, soft wash for your face, jets at chest height or below, front and back… Some also have a fine ‘curtain’ rain effect that keeps the steam in the shower and out of the bathroom. If you are older or otherwise mobility restricted, open showers are perfect thanks to the doorless and step-free design. Just be sure to choose flooring that is non-slip or has a slight texture for grip. If you do go for a step, make it minimal and less of a trip hazard. Imagine if when you mopped your bathroom floor you were also cleaning your shower! With no tray to scrub the tiled floor inside the shower area can be cleaned with the rest of the floor in your usual routine. Hose down the walls and the floor with confidence, they’re made for it! Open showers allow hot air to circulate around the whole bathroom so you won’t have as much steam or heat around your body. All that steam can also create humidity and condensation throughout the entire space, so you will have to give additional thought to ventilation options and the seal of exposed materials. 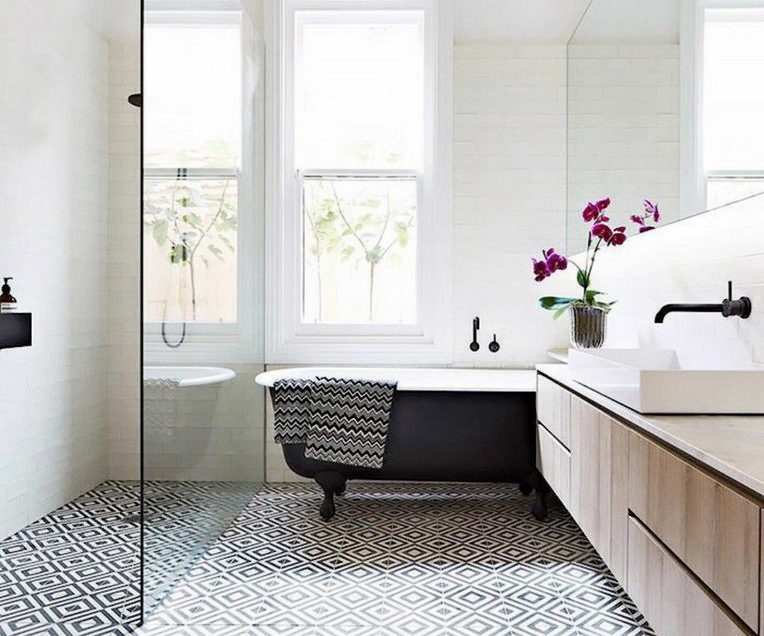 Although these bathrooms really sell the idea of losing all your shower doors, you will need to integrate adequate drainage into your plans so you don’t end up with a flood of water pouring out your bathroom door. Make your drainage discrete, but with the ability to remove a lot of water efficiently – then you’ll be able to really get soaking wet – with confidence. Achieving this designer look doesn’t necessarily come with a hefty price tag thanks to the minimal fixtures and fittings required than in standard enclosures. Walk-ins are usually robust and can stand up to years of usage and plenty of wear and tear, and with extra space, double fixtures can be fitted for dual showering, adding a five-star touch to your water and time-saving efforts. 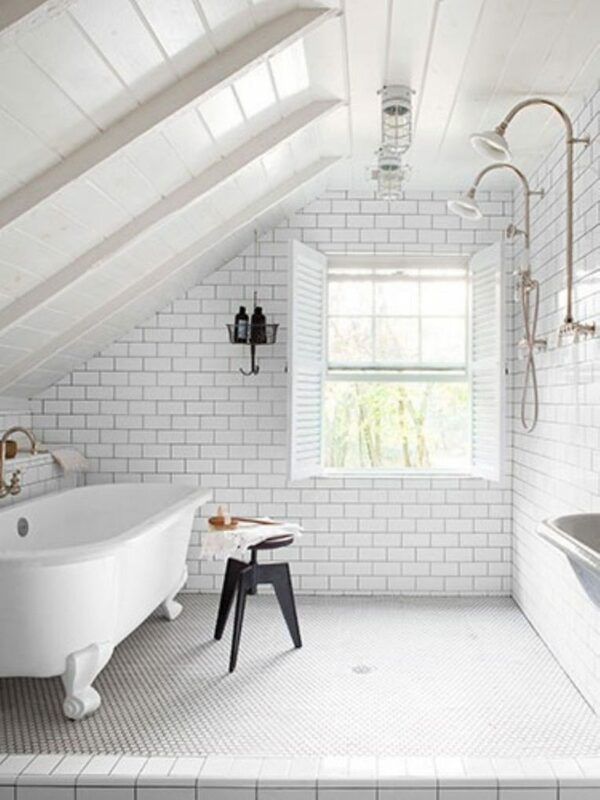 For more bathroom trends or any other renovating projects, then visit the Auckland Home Show, 5 – 9 September 2018 at ASB Showgrounds, Greenlane, to get free expert advice and design guidance from more than 500 leading industry experts and suppliers. See www.aucklandhomeshow.co.nz for more info!